Brendan Peter Schaub is an American podcaster, comedian, actor, commentator, former professional football player, and retired mixed martial artist. He was a finalist and the runner-up of Spike TV’s THE ULTIMATE FIGHTER: HEAVYWEIGHTS. He co-hosts The Fighter and the Kid, a weekly podcast with comedian Bryan Callen, as well as his own podcast Big Brown Breakdown. In the semifinals, Schaub defeated Marcus Jones of Team Rampage via KO in the first round. This win advanced Schaub to The Ultimate Fighter: Heavyweights Finale, where he lost by KO in the first round to Roy Nelson. Schaub made his main card debut at UFC 121 in Anaheim, California on October 23, 2010 against former UFC heavyweight title challenger, Gabriel Gonzaga. For the first time in Schaub’s career, the fight continued past the first round, going the full distance to a unanimous decision (30–27, 30–27, and 30–27) victory for Schaub. On October 12, 2015, Schaub announced that he was retiring from MMA citing injuries and his growing entertainment career outside of fighting. Since retiring from fighting, Schaub has made a name for himself thanks to two popular podcasts. Brendan co-hosts the wildly popular FOX Sports podcast The Fighter and the Kid, with comedian Bryan Callen. And in December of 2016, Schaub launched a solo podcast, titled Big Brown Breakdown, centering around topics related to mixed martial arts and the UFC events. The Fighter and the Kid podcast has charted in multiple countries across the world. The duo are known for their comedic perspectives, not only in the realm of mixed martial arts, but also within pop culture and current events. In 2016, Schaub and Callen expanded podcast’s reach by embarking on a sold out national tour. 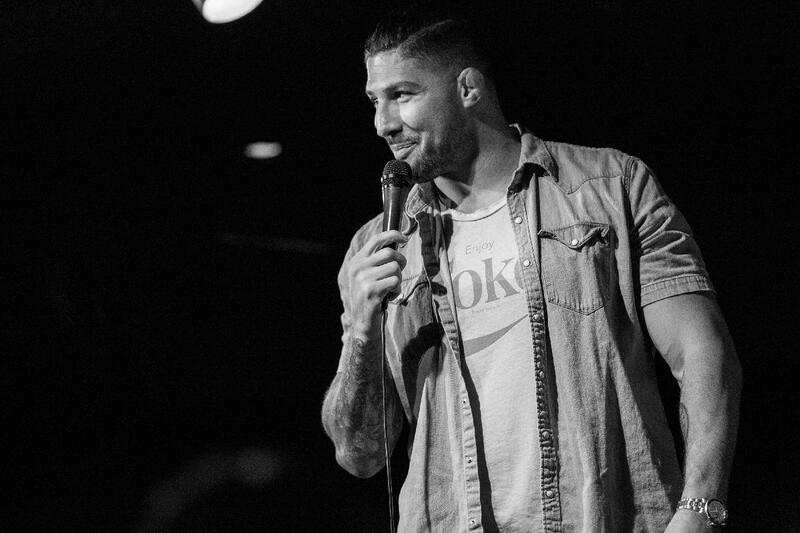 In addition to The Fighter and the Kid live shows, Schaub has performed as a solo comedian at such venues as The Comedy Store, Hollywood Improv, and The Laugh Factory. In 2017, Schaub was brought on by Showtime to be the voice of MMA for the commentary surrounding the Mayweather/McGregor Blockbuster Boxing match. He has also co-hosted Bellator 180 for Spike Sports and appeared as a guest host on several Fox Sports Talk Shows. Up next, Schaub will appear as one of three hosts (and the only male voice) for E!’s Golden Globes AFTER SHOW talking about the evening’s fashion and highlights.